In what has become a tradition at Second Church, our Maundy Thursday service becomes a re-enactment of the Apostles’ Last Supper with Jesus. Above, the table is set for the Sacrament of Communion. Above, Pastor Evan Smith leads the congregation in remembering Jesus’ final meal with his Apostles. 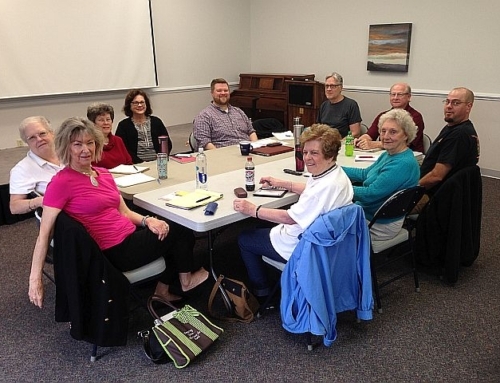 Members came forward in groups of 12 to be seated around a “Last Supper” table to actively participate in the sacrament. Those at the table served one another the body and blood of Christ by serving the bread and juice to each other. 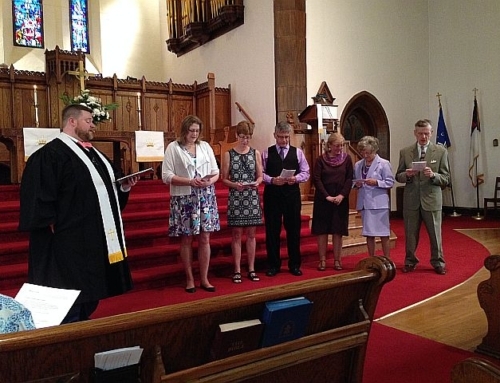 Easter Sunday and Second Church Welcomes new members!